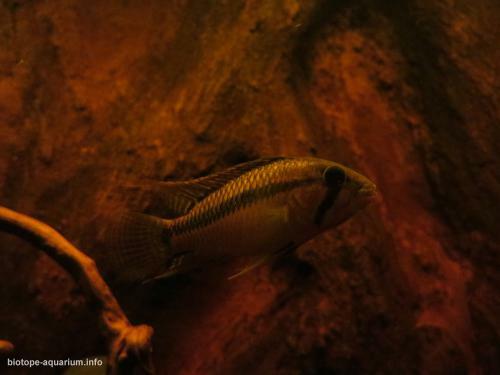 Description of decorations: The main fish of this aquarium is the A. sp. D10, the exact catch location is secret, to protect the wild populations and the livelihoods of the local fishermen who collect these fishes. 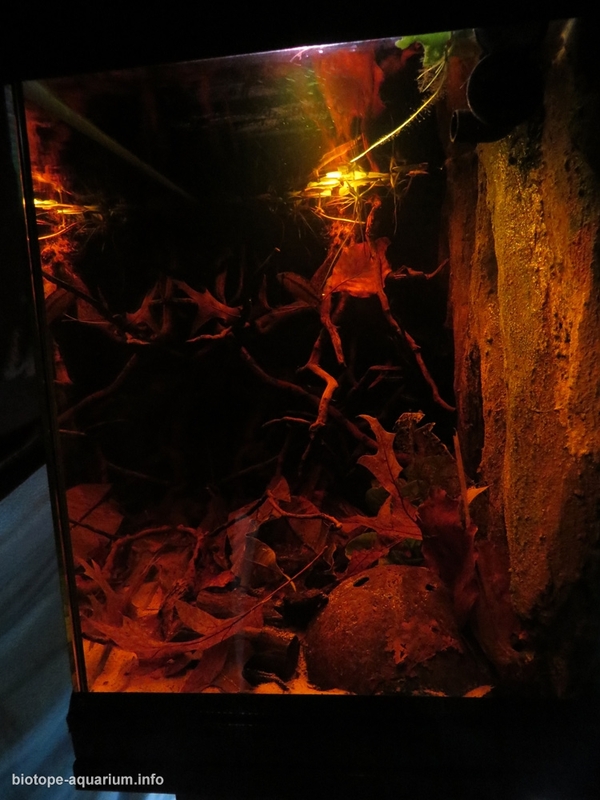 So there are no pictures of the exact location were you can find these fish, but with descriptions of people who been there, I have made this aquarium. 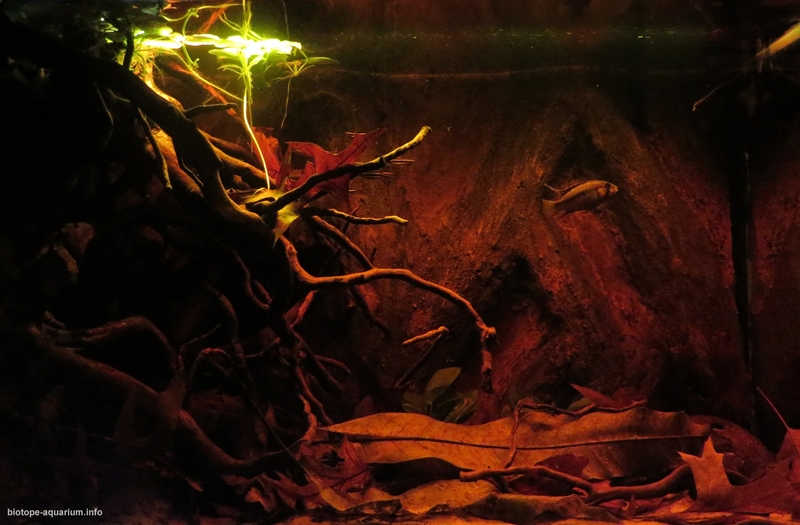 I have used spiderwood in the left side of the aquarium, it represent roots of trees along the edge of the river. 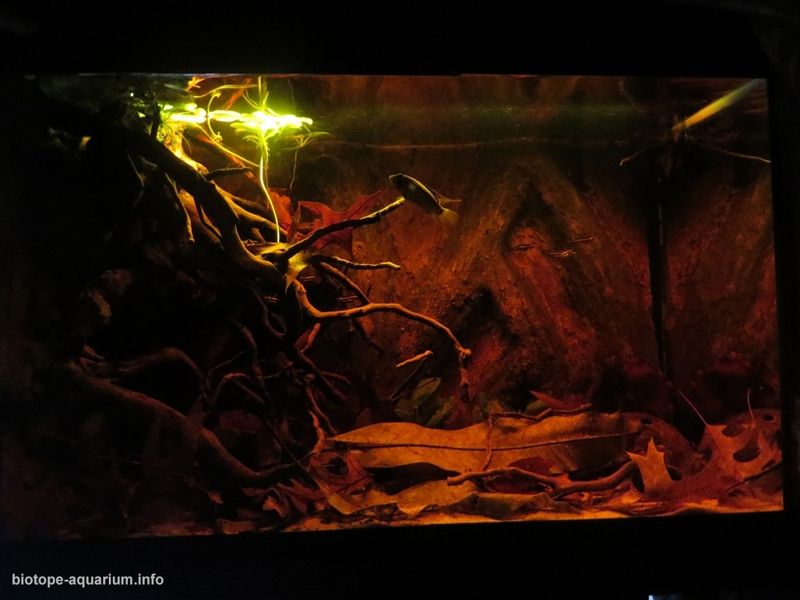 The right side of the aquarium is ‘open water’, were the fish can swim. I have used light sand, leaves and wood so it’s looks like it’s natural habitat. Description of equipment: JBL cristalprofi e701, JMB SMD LED 50cm, TC-420 for controlling the LED, Juwel 150W heater. Water parameters: PH: 5, KH an GH: lower than 1, electrical conductivity: 35 μS/cm. 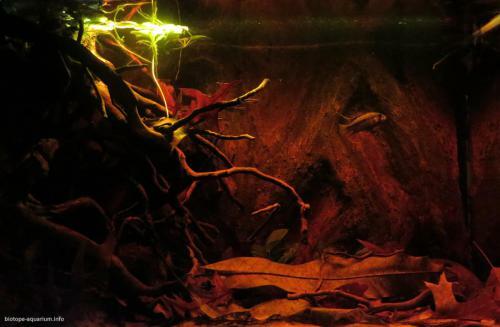 Description of the area surrounding the biotope: The Rio Caquetá or Japurá river (in Brazil) rises near the sources of the Magdalena river, in the southern part of the Central Cordillera of Colombia. 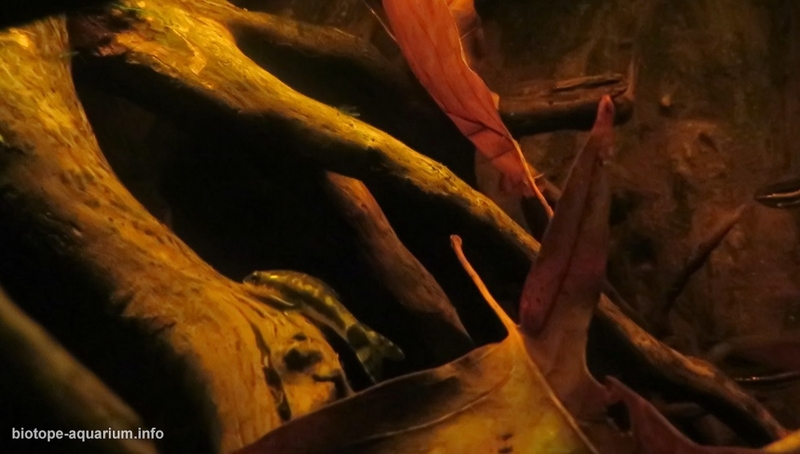 The river flows though tropical rainforest. Description of the underwater landscape of the biotope: This comes from the discoverer of the D10: In November 2015, MEJIA found A. sp. ‘D10’ in a small black water stream belonging to the Rio Caquetá system. A. sp. ‘D10’ were found in sunny and shallow areas within the stream, where leaf litter and aquatic plants offered plenty of hiding places. The substrate in this habitat was fine white sand. The ph was below 5 and extremely low electrical conductivity. Description of the parameters of the habitat: Temperature: 25-26 degrees Celsius, extremely low electrical conductivity, ph lower than 5. List of fishes and invertebrates occurring in the nature biotope: Apistogramma cf. personata, nannostomus marginatus, otocinclus macrospilus, nannostomus beckofordi. 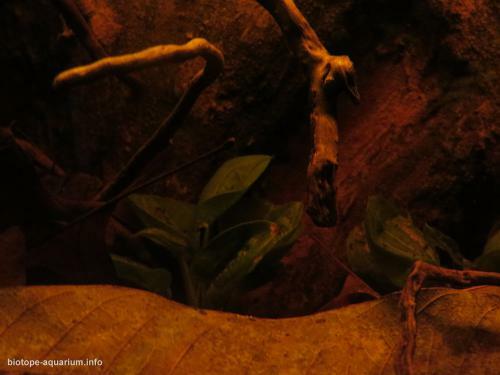 List of plants found in the nature biotope: Heteranthera dubia, Heteranthera zosteraefolia, Heteranthera limosa – Mudflower, Mayaca fluviatilis, Echinodorus latifolius – Broad Leaved Dwarf Amazon Sword, Echinodorus cordifolius – Radican’s Swordplant, Echinodorus horizontalis, Echinodorus magdalanensis, Echinodorus quadricosta – Dwarf Amazon Sword, Eichhornia diversifolia, Hydrocotyle leucocephala, Ludwigia palustris (red), Ceratopteris thalictroides PanTropic – Water Sprite, Vallensiria spirilis, Ludwigia het. – Floating plant with red leaves. A presentation in the Netherlands with Ernst van Genne, who was in Colombia and catched the D10.